Working Fire is told in dual timelines, the first is through Ellie’s eyes starting the day she gets a call that there’s been a shooting at her sister Amelia’s address and the second is from Amelia’s point of view six weeks prior. The alternating chapters each have a clear, distinct voice as the sisters were both well drawn and multidimensional, I had a strong sense of both of them as individuals as well as a firm grasp regarding the dynamic of their relationship with each other. While there is definitely a mysterious element at play here, I don’t think it’s the driving force of the book. Yes, I was super curious about exactly what had happened the day Amelia was shot as well as what events sent things into motion, but at its core this is a novel about family relationships and the secrets that can rip them apart. There’s really not much that interests me more than the bond between sisters and some good old fashioned family secrets and Working Fire had plenty of both. While I wouldn’t describe this as twisty, it did keep me guessing and still surprised me a few times. There was an emotional component to this, Bleeker has an evocative writing style that makes you care about the characters she creates even if you don’t always understand them. This would be perfect for people who don’t want violence or highly disturbing content in their mysteries, it’s on the lighter side yet still manages to pack a decent punch. The ending especially caught me off guard, it was unexpected and fitting. This sounds very good. I really like when they do that with timelines. Even in movies. The cover is pretty cool too. 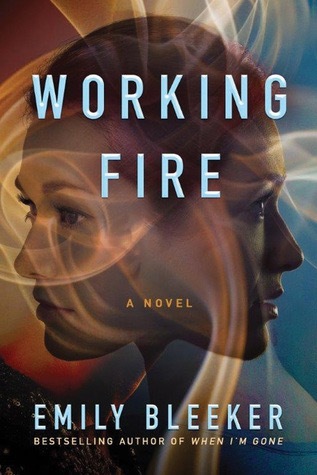 Check out this review of the book, Working Fire, by Emily Bleeker, as featured on the Novel Gossip blog.